Child – Soldiers are being used by the Iranian regime on Syria’s war fronts. The United States imposed sanctions on a network of financial institutions and companies who do business with or otherwise provide support to the Iranian regime’s paramilitary Basij force, citing gross human rights abuses and criminal acts. The sanctions, which were imposed by the U.S. Treasury Department, encompass twenty regime banks and companies. According to a report from Agence France-Presse, all of these banks and businesses were sanctioned for their support of the regime’s militias. Among the list of sanctioned institutions is Mehr Eqtesad Bank, which used to operate under the name of Gharz-al Hasana Mehr Basijian. Mehr Eqtesad Bank is associated with Bonyad-e Taavon Basij, which translates to Basij Cooperative Foundation. This bank’s ties to the Basij Forces can literally be found in the names of its associates. Mehr Eqtesad Iranian Investment Company also faces sanctions from the U.S. It owns shares in Mobarakeh Steel Company in Esfahan, which is the largest steelmaker in the Middle East and North Africa. The company also owns shares in Iran Tractor Manufacturing Company (ITMC), which is also a target of the new sanctions. Mehr Eqtesad may harm other Iranian regime-affiliated companies as well. It owns shares in a number of other companies, including Iralco, Sadra, Jaber Ebne Hayyan Pharmaceutical Company. U.S. sanctions could affect any company associated with an institution that is targeted, meaning that a wide network of Iranian companies will likely face harsh economic penalties for their association with those who are under direct sanctions. Sanctions on Mehr Eqtesad Iranian Investment Company are likely to further damage Iran’s already struggling economy. 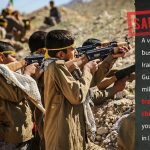 U.S. Treasury Secretary Steve Mnuchin says that sanctions are necessary to cut off financial support for institutions that fund the Basij in their recruitment of child soldiers. “The Bonyad Taavon Basij network is an example of how the IRGC and Iranian military forces have expanded their economic involvement in major industries and infiltrated seemingly legitimate businesses to fund terrorism and other malign activities. 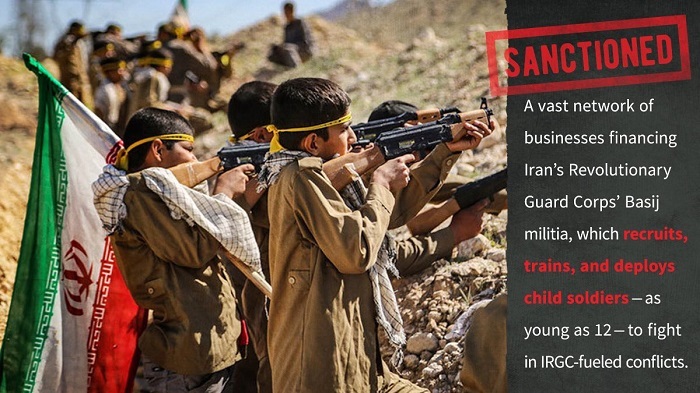 This vast network provides financial infrastructure to the Basij’s efforts to recruit, train, and indoctrinate child soldiers who are coerced into combat under the IRGC’s direction,” Mnuchin explained. Protests among many sectors of Iranian society have been taking place since last December as dissatisfaction with the corrupt and brutal regime rises. Economic ruin has driven thousands of Iranians into the streets to protest even before sanctions were announced earlier this year with the help of the MEK’s Resistance Units and a growing sense of outrage over the regime’s failure to address human rights, poverty, or foreign meddling, the people are close to reclaiming Iran.